Bilderberg Hotel Wolfheze is an intimate 4-star hotel located in forested surroundings near Arnhem. Splash around in the pool or relax in the sauna after a beautiful walk in the area. The hotel offers attractive rooms equipped with a private bathroom with a bath and a balcony or terrace. 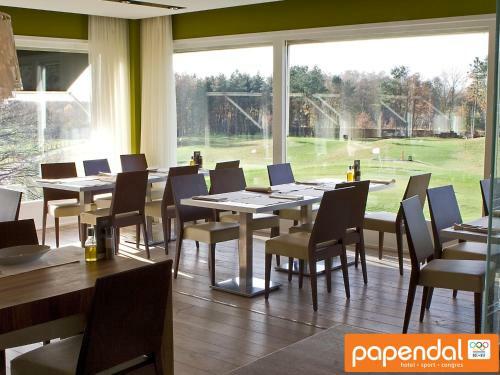 In the morning you can sit down for a splendid breakfast with different breads eggs organic cereals and healthy juices. Take a swim in the indoor pool or play tennis on the tennis court. You can also try your golf skills on the nine holes Pitch and Putt Bosgolf course. The sauna and solarium are there for you to relax. For kids the indoor playground will promise hours of fun. Bilderberg Hotel Wolfheze has a culinairy restaurant "De Tuin van Wolfheze" which is open the whole day from 9.00 till 23.00 o'clock. Breakfast lunch dinners and appetizers are served. Sit out on the terrace and enjoy the views and nature around. The Gelredome Stadium is 10 km away from Wolfheze. 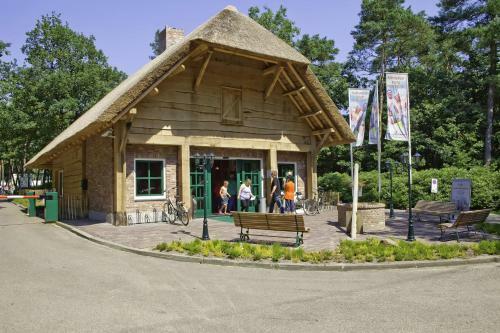 Arnhem is 10 minutes away and offers cosy cafés shopping areas and museums. Nature lovers can enjoy making lovely walks or go biking.